At STARTEK, we believe that teamwork, honest communication, and trust are the keys to personal and professional success. Our family of employees and suppliers work closely to provide the best possible business process solutions and services to our customers while creating a fun and rewarding work atmosphere. 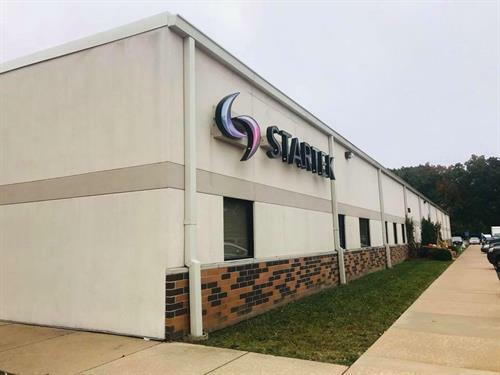 This approach to business has helped fuel dynamic growth at STARTEK and produces daily opportunities for our employees to demonstrate their skills and exceed customer expectations. We welcome and foster these opportunities through open communication and by providing our employees with state-of-the-art training and coaching to ensure every person has the necessary tools to succeed. STARTEK also understands that the definition of success goes beyond our individual careers and company. A healthy balance between work, home life, and citizenship is very important and permits us to give back to the local communities in which we all live and grow. •You must have a High School Diploma or GED.